This children's game is known by various names in many parts of the world, for example it is Schwarzer Peter (Black Peter) in Germany, Vieux Garçon or Le Pouilleux in France, Ekae in Thailand. It can be played by two or more players. From a standard 52 card pack remove one queen leaving 51 cards. It is also possible to play with a special pack - see variations below. Deal and play are clockwise. The dealer deals out all the cards to the players (generally some will have one more card than others - this does not matter). The players all look at their cards and discard any pairs they have (a pair is two cards of equal rank, such as two sevens or two kings). The dealer begins. At your turn you must offer your cards spread face down to the player to your left. That player selects a card from your hand without seeing it, and adds it to her hand. If it makes a pair in her hand she discards the pair. The player who just took a card then offers her hand to the next player to her left, and so on. If you get rid of all your cards you are safe and you take no further part. The turn passes to the next player to your left, who spreads his or her cards for the following player to draw one. Eventually all the cards will have been discarded except one queen (the old maid) and the holder of this queen loses. In some countries, where the game has a male name, such as Black Peter, it is a Jack that is removed rather than a Queen, and the loser is the holder of the odd Jack at the end. 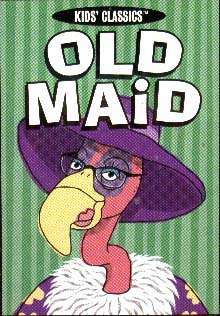 It is also possible to play a reversed version of Old Maid. The mechanism of the game is exactly the same, but when everyone else has run out of cards the holder of the odd card (the last Queen or Jack or the Old Maid card) is the winner. Old Maid is sometimes played with a special pack of cards: all the cards come in matching pairs except for a single Old Maid card, whose holder at the end is the loser. Some German sets of Quartett cards come with a Black Peter card so that they can also be used for this game. 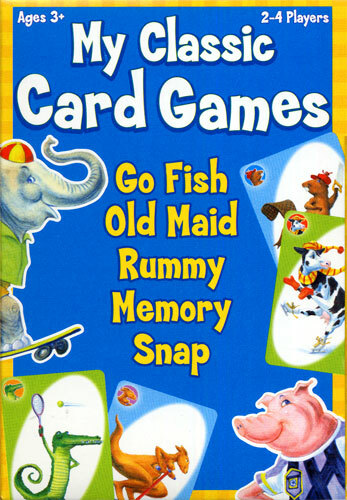 Several types of Old Maid cards can be obtained from funagain.com or amazon.com, individually or in collections of childrens' games. The equivalent game to Old Maid in Germany and several other European countries is called 'Black Peter'. Originally it was played with a standard pack (often a 32-card pack) from which a black jack was removed. The final holder of the odd jack when all other cards had been paired was the loser. However, it is more often played with a special pack of 31 or 37 cards in which the Schwarzer Peter card depicts a black cat or a chimney sweep. Before the game, one end of a (real) cork is carefully blackened by holding it over a candle flame. This is used to draw a black mark on the loser's face. Sometimes a Schwarzer Peter card is included with a pack of Quartet cards, so that the deck can be used for either game. 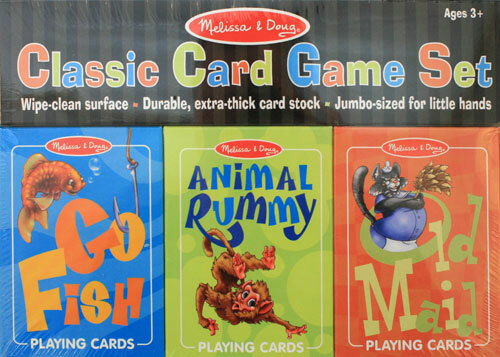 The collection HOYLE Card Games for Windows or Mac OS X includes an Old Maid program, along with many other popular card games. The Card Game Heaven site had a page of rules for Old Maid (archive copy).